Brook's Room: A converted maid's room. We had to convert this apartment's "maid's room," a relic from early 20th century architecture, into a space suitable for their son. Fitting a twin size loft bed into the tiny space was a challenge we addressed by actually cutting the door frame shorter and adding a panel so that the bed fit perfectly flush with the wall. 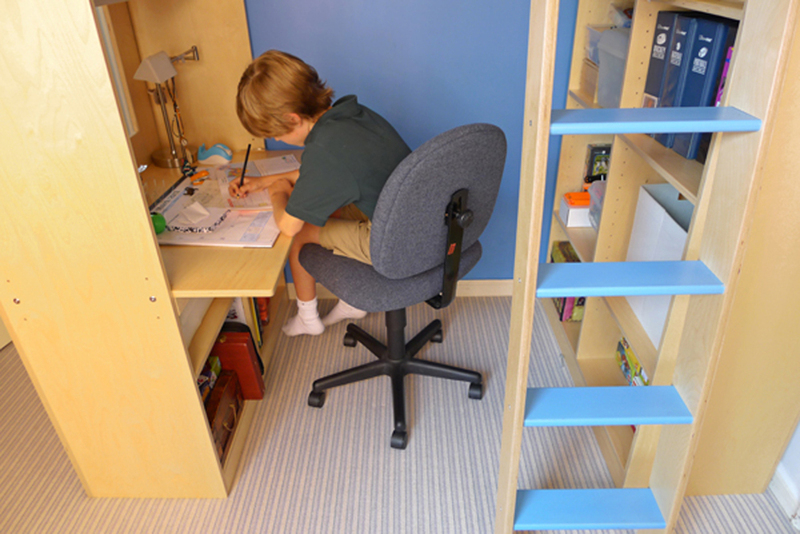 The large cut-out above the loft's built-in desk allows light to flow through the room and ensures that the child can communicate with and feel like part of the household when he's studying. In addition to the desk, we built loads of shelving into the area below the loft. We added an L-shaped corner cabinet, specially designed for displaying the child's large trophy collection. The room contained no storage so we built an armoire and dresser, as well as cabinets that serve to both mask the radiator and provide additional surface area for the room. 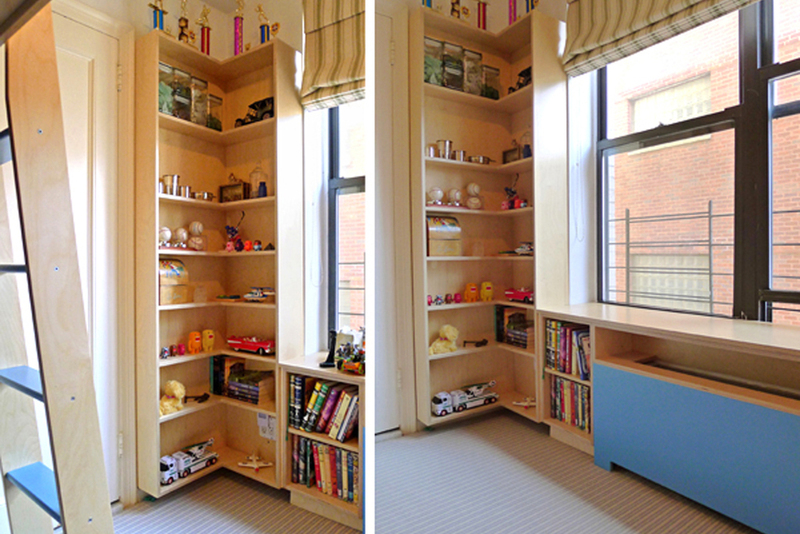 The featured product in this room is a Dumbo Loft bed.